Manfred Mann, aka The Manfreds as they sang in their first hit song “5-4-3-2-1 it’s The Manfred’s”, were considered one of the finest and most respected British Invasion groups of the 1960’s; their records having a timeless quality that only a few of the many bands from the era attained. Over the decade until they broke up to pursue successful solo careers, with Paul Jones until 1966 then Mike D’Abo as lead singers, the band had four No.1 and a string of Top 10 singles, all enduringly memorable songs, including 5-4-3-2-1, Do Wah Diddy Diddy, Pretty Flamingo, My Name Is Jack, Fox On The Run, Mighty Quinn, Just Like A Woman, Ragamuffin Man, Semi-Detached Suburban Mr James, and Ha Ha Said The Clown. The other original members were Tom McGuinness (guitar), Mike Hugg (drums and keyboards), and Mann (keyboards). 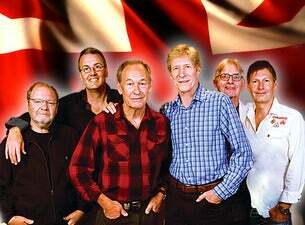 The band reformed as The Manfreds in 1991 featuring both original lead singers, Jones and D’Abo, plus McGuinness and Hugg, and enlisting the talents of Marcus Cliff (bass), Simon Currie (saxophone) and Rob Townsend (drums), but no longer with keyboardist Manfred, touring the world ever since playing the band’s hits and those from their solo careers. The Manfreds are not a tribute band but, with the exception of Mann, the real thing, now even better than before with the both charismatic lead singers at the helm. Their music has always been hugely popular in New Zealand. They were here some 15years ago with a timely reminder, but are finally returning in March and April 2019 on an extensive 11-date unmissable farewell tour delivering all their much loved hits performed live for one last time by the original singers.